Beaded jewelry is always fun to make or challenge yourself with by trying new patterns. No matter what reason you choose to make DIY beaded jewelry this collection of Beaded Jewelry Patterns by Color: 150+ Stunning Beaded Jewelry Projects is going to undoubtedly blow you away. Plus, you can choose to bead patterns that are in any color you can think of. Whether you love the color blue, purple, red, or brown there is something in this collection for you. You can now make that perfect beaded bracelet to match that new dress you just bought for your nice night out. Whether you are in love with stitched beaded jewelry or you like more simplistic strung beaded jewelry patterns, you can find what you are looking for in this huge collection. No matter which color you choose to run with you will feel like royalty with every pattern you make and wear. Plus, you can even learn a few techniques here and there so that you are even more prepared when tackling future beading projects and patterns. Step outside of your comofort zone and get ready to look fabulous from head to toe! Start with this gorgeous collection of blue jewelry. Blue jewelry is so elegant and easy to pair and wear with anything! 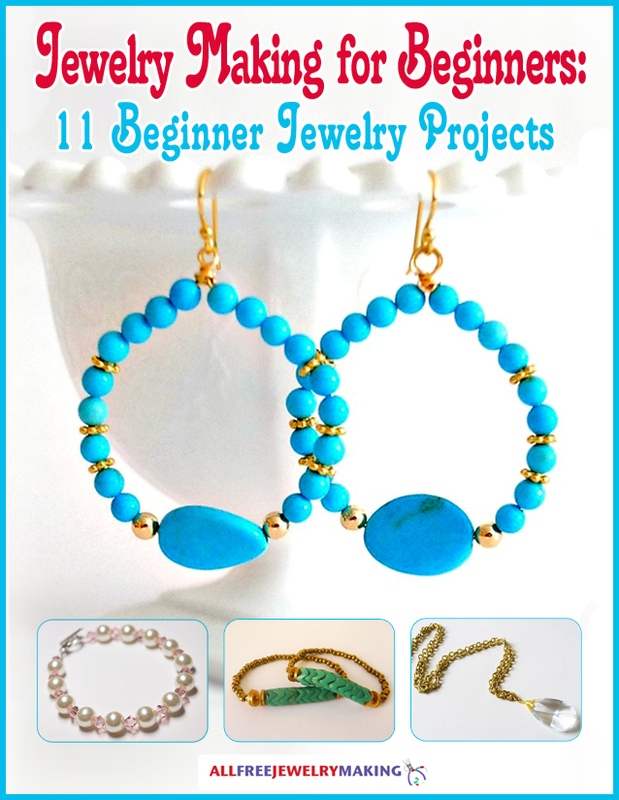 The different beading patterns in this collection of Beautiful Beading Patterns: 31 DIY Jewelry Projects in Blue are sure to make you swoon when you look at them. From bracelets, to necklaces, to earrings this collection of blue jewelry has everything you could think of an more. Feel like a true queen whenever you put on one of these blue beaded jewelry projects, with their sophisticated style and stunning appearance. You will not regret making any of these fantastic DIY jewelry patterns and helping your collection only grow. Speaking of feeling like royalty. Nothing will make you feel like the princess you were meant to be than wearing these lavish beaded jewelry patterns. Whether you are more of a lavender or violet person, this collection of Beautiful Beading Patterns: 31 DIY Jewelry Projects in Purple has beaded jewelry in every shade of purple you could think of. These different patterns range from some wire jewelry projects all the way to your classic stitched beaded bracelet and everything inbetween. You will not regret taking a peek behind the curtain at these truly wonderful and special DIY beaded jewelry projects. Feel like Scarlet O'Hara when you dress to impress in these lavish red jewelry patterns. Not only are you getting the most gorgeous shades of ruby there are in these different beaded jewelry projects, but red is perfect for adding a bit of sophistication to your outfit. This collection of Beautiful Beading Patterns: 30 DIY Jewelry Projects in Red will make everyone look at you in awe and admiration. If you want to stand out and be the belle of the ball red is definitely the way to go, specifically these red beaded jewelry projects. Pretty in pink doesn't just have to be a movie you've seen before. Now, you can embody the pretty in pink lifestlye by checking out this gorgeous collection Beautiful Beading Patterns: 31 DIY Jewelry Projects in Pink! You can feel extra feminine any day you decide to slip into one of these beading patterns whether it is a necklace, bracelet, or stunning pair of earrings. No matter how you choose to wear these wonderful DIY jewelry pieces you are guaranteed to look fabulous! Gorgeous green, glamorous green, goddess green no matter how you like to feel while wearing green this collection can give it to you. Prepare to be dazzled with emeralds and delighted with rich foresty colors when you take a peak inside this collection of Beautiful Beading Patterns: 31 DIY Jewelry Projects in Green. Feel like you were born to be rich and famous whenever you wear any of these lovely beaded jewelry projects. You can find as many hues of green in this collection as you could in emerald city except this collection has far more glitz and glamour since it is beaded jewelry. Neutral toned jewelry colors can definitely come in handy when you decide to put your colorful new sundress on. Whether you simply like the elegant look of brown jewelry projects, or fall is coming up and is coming up and you need some new jewelry ideas for the season, this colleciton of Beautiful Beading Patterns: 29 DIY Jewelry Projects in Brown has got you covered. Prepare to be dazzled by different hues of amber that are sure to keep you glowing every time you wear them. You don't have to wear colorful DIY jewelry patterns in order to get noticed! If you want more neutral accessories, then you need to try some of these white beading patterns! White jewelry pieces like these are neutral enough to go with any outfit, simple enough to not look overwhelming, and lovely enough to make you feel fabulous. Whether you want a simple pearl necklace or big, bold earrings, these Beautiful Beading Patterns: 26 DIY Projects in White have got you covered. This collection will show you that the possibilities for white jewelry are endless! There are even jewelry pieces that are fit for a bride. There’s no color that is as cheerful as yellow, and these yellow jewelry pieces definitely won’t disappoint. Whether you love to rock yellow fashion or you want an accessory that will perk up your day, you will fall for these Beautiful Beading Patterns: 17+ DIY Jewelry Projects in Yellow. ​You’ll be surprised by how versatile yellow jewelry can be! This collection has everything from softer-hued beaded DIY necklaces perfect for every day to electric DIY earrings for those who want to make a statement. Some of these beautiful beading patterns scream spring and summer, while others would look fantastic all year long. Which beaded jewelry color are you the most excited for?